Look for R.S. Tilton’s winning entry in the forthcoming Sanctum Secorum Companion #33! 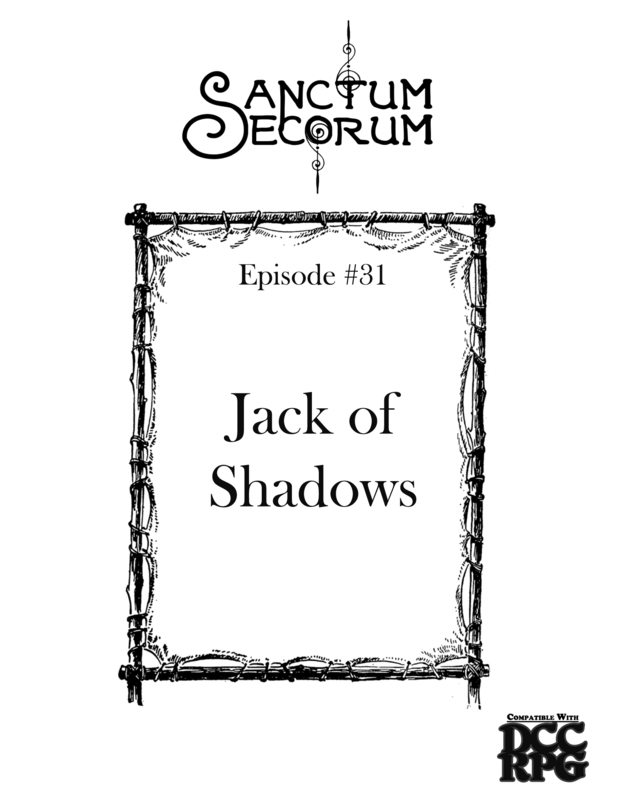 News: Sanctum Secorum Companion #31 released! The long-delayed *free* Sanctum Secorum Companion #31 has finally released, featuring an adventure by Daniel J. Bishop. Keeper of Mysteries Bob Brinkman returned to the Goodman Games series of articles, Adventures in Fiction, this time with an adventure in film fiction. Read Bob’s take on the influence had by Hammer Films over the creation of the cleric class and more! Here is your chance to win a copy of Matthew Goiffon’s ultra-rare adventure Super Number 1 Food Tower. The adventure was specifically written to be run at North Texas RPG Con in 2015 and was only ever available there. Now, we offer you the opportunity to get this wonderful bit of DCC ephemera for FREE! along with a card-stock sheet of 4 pre-gen characters for the adventure. In addition, one runner up will receive a surprise item from the Sanctum Secorum’s Prize Closet of Mystery! Keeper of Mysteries Bob Brinkman recently penned a short essay on the influences of Michael Moorcock for the Goodman Games series of articles, Adventures in Fiction. Hawkmoon, Elric, and Tarzan? Of yeah, don’t miss this one. Bob Brinkman has been announced as a stretch goal author for Those Dam Goblins from Fail Squad Games. Come on, you know you want it! Several years ago human settlers discovered a marsh covered valley which they knew would provide fertile crop land if only the marsh could be drained. The settlers dammed the river and may have damned themselves! The diverted river has awoken the cliffs themselves. Strange rumblings in the earth and smoke from the cliff tops are sure signs of trouble. The residents of Fertile Valley need some heroes, can you save Fertile Valley before it’s too late? This adventure is written for the Labyrinth Lord (LL) game system compatible with BECMI or B/X with Fifth Edition rules of the world’s most popular tabletop RPG included. It is an adventure for 4-6 characters of levels 1-3. This module has a definite “Old School Flavor” written by Chris Clark who worked directly with Gary Gygax. Keeper of Mysteries, Bob Brinkman, is adding a bit of fiction to the available reading of OSR fans, just in time for Christmas. 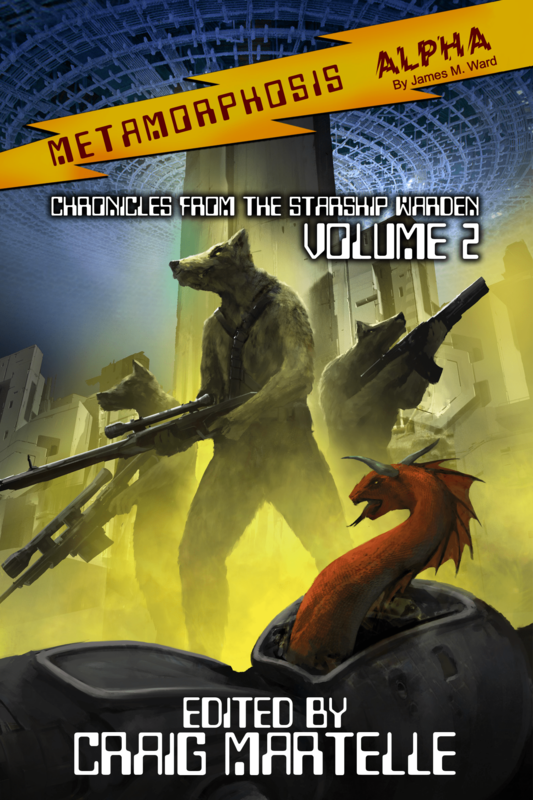 Bob joins James M. Ward, Craig Martelle, Valerie Emerson, and others for Metamorphosis Alpha – Chronicles from the Warden, Volume 2. The book is available Today in both paperback (over 600 pages) or ebook, exclusively from Amazon. Humans and mutants struggle for survival on board the Starship Warden, where they no longer know they are in space. In METAMORPHOSIS ALPHA, you are aboard the stricken starship and struggling to survive, trying to gain knowledge of the strange devices and mechanical apparatus of the vessel, attempting to learn the secrets of the strange world you inhabit. Eight authors come together to bring the world of METAMORPHOSIS ALPHA alive. Led by James M. Ward, the game’s original creator, enter the starship Warden and enjoy the adventures of the bold as they struggle to complete their quests to understand what their world is all about. Keeper of Mysteries Marc Bruner recently penned a short essay on the influences of Jack Vance for the Goodman Games series of articles, Adventures in Fiction. Obviously, we strongly recommend reading it as the article is insightful as well as informative. The companion in the wild at at Roll for Damage in Grovetown, GA. Thanks to Guardian of Secrets Michael Hearn! In honor of Free RPG Day 2017, Sanctum Secorum released our first ever physical companion. A very limited release, available in just a handful of locations, this release served as our first test-run for our upcoming “Friends of the Library” program, and introduced our first Guardians of Secrets.